Press Release: Lake Forest, IL — Dima Elissa — On January 28, 2016, VisMed3d’s CEO and Founder, Dima Elissa spoke at “Women Entrepreneurs in Healthcare: Be Bold and Confident in Your Journey,” a conference hosted by Healthcare Businesswomen’s Association. As one of Chicago’s leading serial techpreneur‘s Elissa shared her personal journey as a woman in the tech industry and in healthcare. Alongside three other impressive women in healthcare, Elissa gave insight to other women who aspire to make changes and be leaders in business. The event took place at Lake Forest Graduate School of Management in Lake Forest, IL. 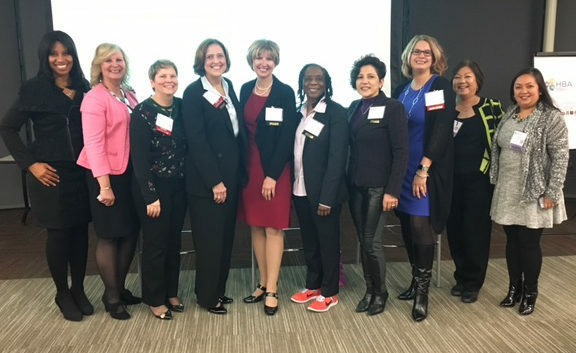 Other speakers at the event include Star Cunningham, CEO and founder of 4D Healthware, LLC; Nicki Norris, CEO of Symphony Clinical Research; and Leslie Wainwright, PhD and faculty member of Lake Forest served as moderator at the event. For more information about HBA’s event click here.